If the name doesn't tell you what you are in for, then we don't know what will! Not only will sailing the Bronzin guarantee you a perfect tan, it will give you so much more. 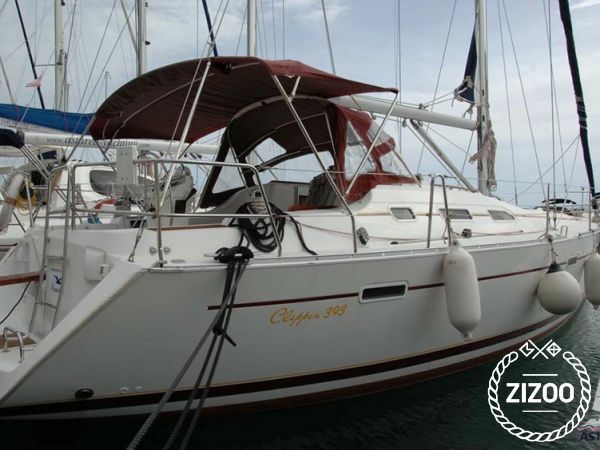 This 2002 Beneteau Oceanis 393 based in either Split or Dubrovnik is a surefire way to spend a fabulous vacation on the Adriatic Sea. Put your skills to the test as you hoist up the sails and venture out in search of sandy beaches, cosy coves, fantastic restaurants or just the perfect scoop of ice cream. Treat yourself to Dalmatian prosciutto, delicious figs and take home a bottle or two of the finest olive oil this region has to offer. With room for 6 plus an additional 2 in the salon, we can't think of a more ideal way to spend your holiday than in the company of those you love. Sailing along the Croatian coast is one of the best ways to discover the natural beauty this country is known for the world over. Just don't forget the sunscreen. For all your routes and destinations, you can contact your friendly crew to find out more. Requested 50 times this week!